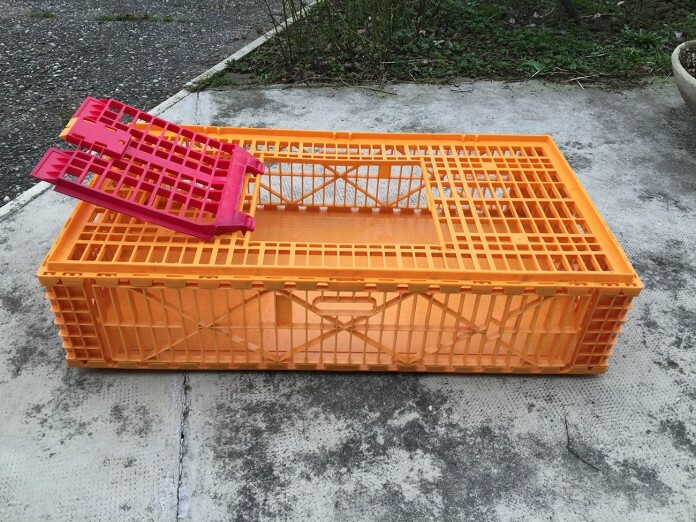 A new live bird crate by Carfed. The great experience regarding live bird hauling and knowledge of plastics over the years, the capacity in deliveries and shipments to more than 70 countries, and the reliable worldwide network of Distributors and Agents, make CARFED SA one of the leaders in the field of manufacturing plastic products for the worldwide poultry industry. At the recent IPPE exhibition in Atlanta, CARFED introduced a new live bird crate developed for specific market requirements.The crate’s sizes are 108 x 58 x 27 cm and it has a solid bottom and a big top swinging door with a lock equipped by a stainless steel spring.The length of 108 cm, wider than those one usually available, allows saving 10 % in transport costs. The solid bottom stops the manure falling on the crate below when crates are stacked.